How to Transfer/ Sync Music to Computer iTunes, the easy way! This post shows you two ways to transfer or sync your music from your iPhone 7 to your computer with Windows operating system, with and without USB cable. Please choose accordingly the appropriately the method that is good for you. For iPhone/iPad/iPod user who is NOT a member of Apple Music, more people have recourse to iMobie iOS Manager – AnyTrans for iOS, an easier way that can help transfer music without using iTunes (title: How to Transfer Music from iPhone to Computer). This Windows app is also best at syncing photos, videos, e-book, Voice Memos, iTunes U and Podcast, as well as making ringtones for iPhone 6/6s/7/8/X users. Give it a free download now. Apple Music membership allows you have access to your music library on all of your devices using iCloud Music Library. This method is not available if you have not signed up for Apple Music membership. 1) On your iPhone, in the Apple Music app, tap the the profile icon. Then sign in with the same Apple ID and password that you use for your Apple Music Member ship. 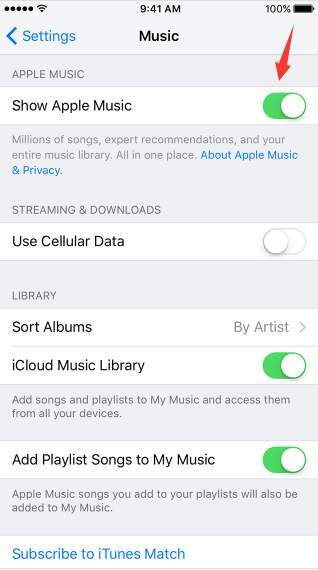 2) From your iPhone home screen, go to Settings > Music, and then turn on iCloud Music Library. 3) You will be asked whether to Merge or Replace the music. 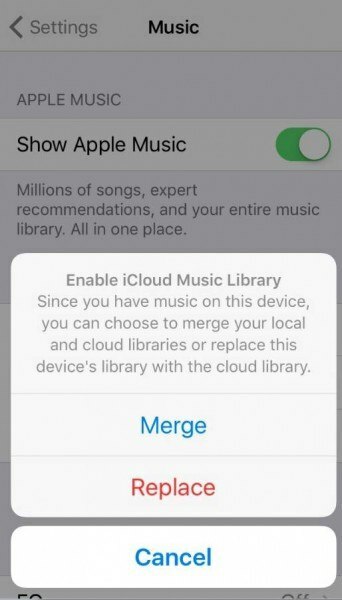 If you want to add the songs currently on your iPhone to your library, choose Merge. If you choose Replace, the music in your Apple Music library will replace all of the music on your iPhone. 4) On your computer, go to iTunes window. From the menu bar at the top of the iTunes window, choose Edit > Preferences. 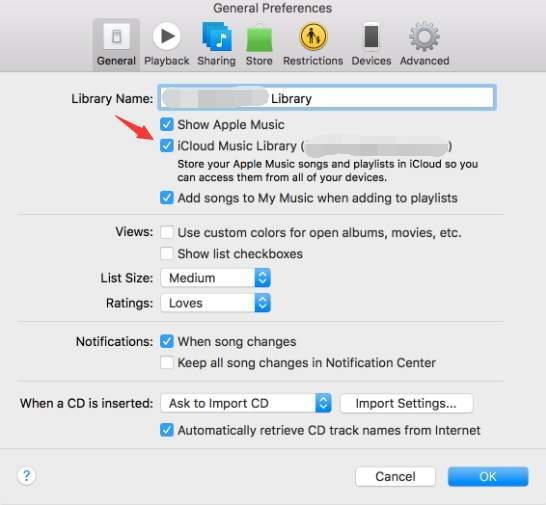 5) Turn on iCloud Music Library. 6) Click OK to save the change. 1) Open iTunes on your computer. Make sure that you have the latest version. 2) Connect your iPhone to your computer with USB cable. You will be able to see an icon appearing as your iPhone in the upper left corner of the iTunes window. 3) Click theicon. 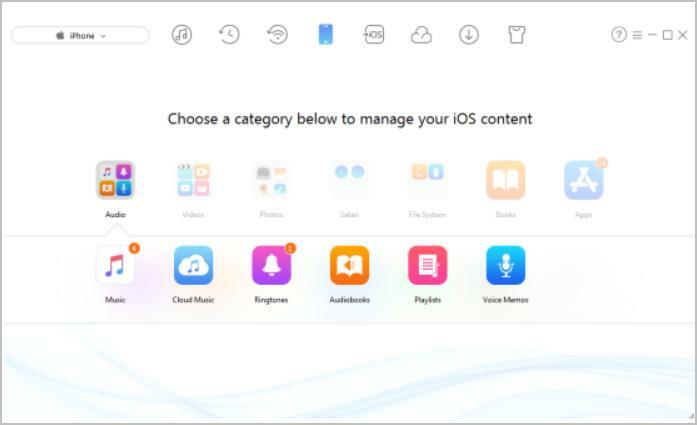 On the left side of the panel, you will see a list of content types that you can sync from your iTunes library to your device under Settings. You might not be able to see some tabs if you don’t have certain content in your iTunes. 4) Check the content type that you want to sync. 5) On the left side, choose Music tab under Settings. In the main iTunes window, click the box next to Sync Music to turn on syncing for that content type. If there’s a check in the box, syncing for that content type is already on. If you want to customize your content type, you can choose the additional options listed. 6) Click the Apply button in the lower right corner of the screen to save your sync settings. If the sync doesn’t start automatically, click the Sync button. After you turn on syncing, your content sync every time you connect your iPhone to your computer and have iTunes open. 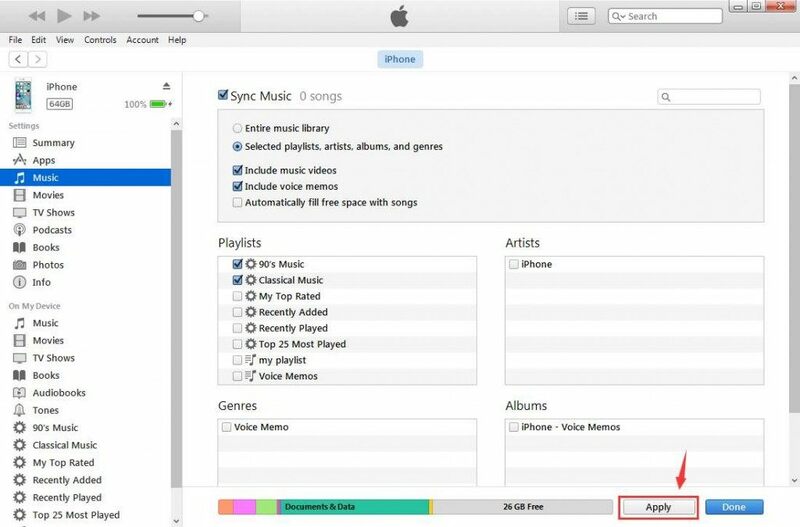 What to do if my iTunes won’t sync with my iPhone? Migrate from old iPhone to new iPhone, the easy way!